Vinegar is used since ages for various reasons like food preservation, cooking, and various other household applications. It was discovered in 5000 BC and soon the experts found many uses of this sour liquid. Vinegar that is also called sour wine in French is the fermented juice of different types of carbohydrates like dates, grapes, beet, potato, coconut, and apple. The slow fermentation of vinegar develops antimicrobial and antibacterial properties in it. Many bioactive components like gallic acid, acetic acid, epicatechin, caffeic acid, catechin, and several important antioxidants are produced during the process of fermentation. ACV has shown promising results in diabetes management. The use of vinegar is becoming common in fighting Type 2 Diabetes, the one that is caused due to lowered insulin production or insulin resistance. The sugar level needs to be controlled if you are suffering from diabetes or even in case you are approaching your 40s. Sugar fluctuation becomes common with ageing and it becomes important to control blood sugar to avoid other related problems. You can always reduce the sugar intake, however there are many other sources of sugar that cannot be completely avoided like fruits, spices, pulses, and many more. ACV improves insulin sensitivity, which may result into lowered sugar levels. Studies have also shown that having 2 tablespoons of ACV at bedtime decreases the blood sugar level by almost 4%. This point will surely grab your eyeballs! Vinegar keeps you fuller or you can say that it gives the feeling of being full much before you actually are! The calorie intake is reduced by almost 200 to 275 calories on adding vinegar to the meal. According to the study carried out on set of obese people, consuming vinegar daily has shown visible reduction in waist line, belly fat, and also triglyceride levels. One can lose up to 2.6 pounds on consuming 1 tablespoon of vinegar daily, and up to 3.7 pounds on taking 2 tablespoons daily. Though addition of ACV is alone to your diet cannot bring in a major change as you need to club it with workout and low calorie diet for better results. This is another major health benefit of ACV, but the studies are only carried out on rats and there is no human study evidence. Still if you go by the rat studies, ACV reduces triglycerides and cholesterol. The antioxidant called Chlorogenic acid present in ACV controls the oxidation of LDL cholesterol, which may otherwise be quite harmful for the heart. Animal studies also suggest reduction in blood pressure. Antibacterial properties of vinegar have made it a good choice for food preservation, but the same was also used to treat many types of ear and nail infections in earlier times. However, due to lack of research ACV is not much used by modern medical science to treat such infections. 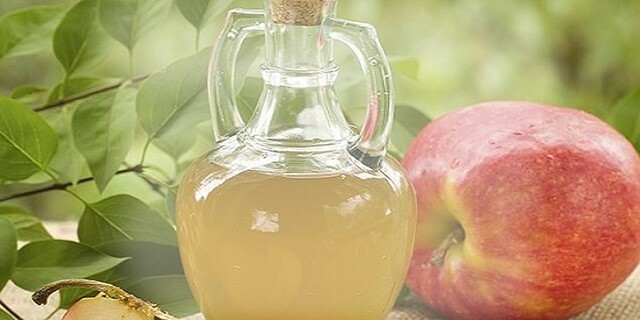 Apple Cider Vinegar can be the best liquid for germ free home and healthy body. Keep the bottle handy to use it when needed. Carol has been writing for various health and fitness websites for almost a decade. This has turned out to be her hobby, profession and passion. She also shares her knowledge about health, fitness and weight management with Nutra Pure HCG to spread awareness about weight loss and homeopathic HCG drops.